Would you like to eat a ball of elephant dung for dinner, take a dust bath, and then curl up in a slimy sleeping bag? Oh, you'd rather chew on a tasty worm, lick yourself clean, and stand on one leg to fall asleep? 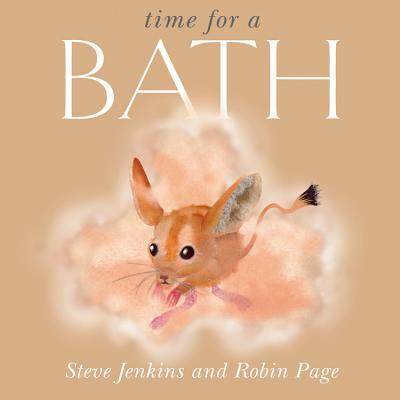 Vibrantly colored cut-and-torn-paper illustrations introduce tasty, silly, and quirky ways some animals like to eat, take a bath, and go to sleep in this playful new series by the celebrated husband-and-wife team of Steve Jenkins and Robin Page.